With today’s hectic pace and busy schedules, Corporate Golf Clinics provide an excellent opportunity to build lasting business relationships and make a positive impression with clients and co-workers. Golf clinics can be tailored to suit everyone’s skill level and allow golfers of all abilities to get together, have some fun and learn a new skill. Clinics will be held at Lake Loon Driving Range in Dartmouth. All clinics will be run on a 6 to 1 student instructor ratio, ensuring all participants receive a high level of individual instruction. *Pricing at other area courses may vary. Lunch or snacks may be included for an additional fee. 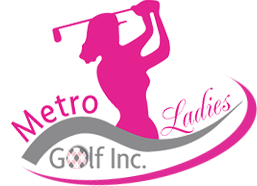 Metro Ladies Golf Inc. encourages women to enjoy the business benefits of golf – primarily the ability to develop lasting relationships with clients, prospects and colleagues. We will work with you to customize a program or outing that meets the need of your organization. Whether it’s for hosting clients, teambuilding or lunch meetings, put our expertise to work to develop a fantastic golf experience for your female clients or employees. Let us design a pre-tournament clinic for your participants that will have them swinging with confidence and contributing to the team! Our golf pro will meet you at the course and offer a lesson plan customized for your needs. Let’s get started.